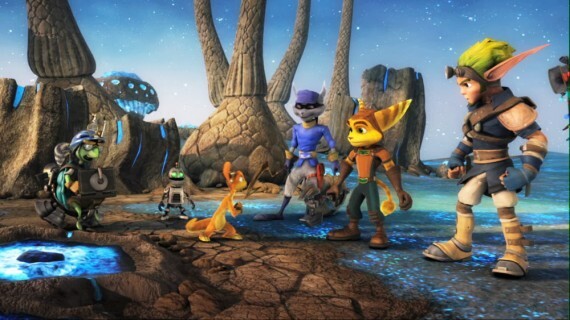 Imagine all the Sony PlayStation gaming legends on one accessible game that includes great such as Ratchet, Clank, Jak, Daxter, Sly Cooper and Bentley. This is what you get in PlayStation Move Heroes that not only incorporates these characters on the PS3 but also with the innovative PlayStation Move controls. With that said, the game is definitely aimed at a younger audience as they embark on an action/platformer from three different gaming universes all bundled into one relatively easy game. Even though we have such a cool concept, the biggest disappointment for me was that this game was basically a collection of mini-games as opposed to a true arcade story, like their main games. 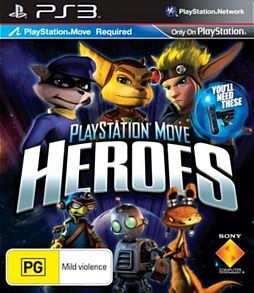 Add in a variety party type games, platformers and Wii inspired shooters and this is what PlayStation Move Heroes is all about. Nonetheless, the story revolves around our heroes and their amusing sidekicks being abducted by aliens where they are forced to fight in an intergalactic arena in order to determine which hero is the ultimate. Throw in some nice cinematics to help progress the story and although the story works at times, some of the mini-games are a little forced and contrived. Best of all, there's plenty of fan service included in the game as you see familiar enemies return from all three gaming series plus weapons, equipment and some interesting unlockable content to be found along the way. With six playable characters, not all characters will be available at all points in the game but rather, it is dependent on the story and the mini-game. But in order to properly play this game, you will need to have both Move controllers, although you can just use the standard Move controller and the PS3 controller but it's far more superior with the full Move kit. Now if only Sony released both controllers together! The gameplay of PlayStation Move Heroes is reminiscent of quite a few Nintendo Wii games as you use the Move controllers to navigate this 3D type gaming environment. If you have used a Wii controller before, you'll have no problems in mastering the control system and if you haven't, you'll be a pro in around 5 or so minutes. 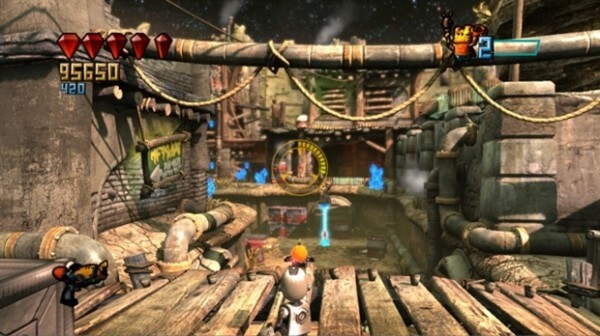 These simplified controls ensure that the game can be played by players of all ages. 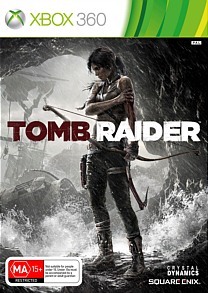 Unfortunately there is no option to use the standard PS3 controller so this game is pure Move. The games featured in the title range from sports to arcade such such as futuristic bowling that is actually quite fun because it's not your standard bowling game as you have various obstacles in your way. By completing the games you are awarded medals from bronze, silver to gold that does act as an incentive to beat your scores. Some of these games are littered with combat challenges as you use the Move controller as either a gun or melee weapon. The characters even have their own super-move which is fun to use. Just like Super Mario Galaxy, PlayStation Move Heroes supports a strange hybrid two player co-op mode which is a little disappointing because as opposed to two equal characters, you have a primary and secondary character. The mode is great if you have a younger gamer in the family as they can take the secondary role which is not as vital as the main character. 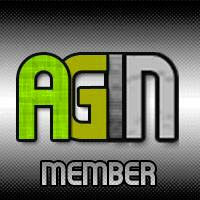 It was fun to play but a little limited in the grand scheme of things. 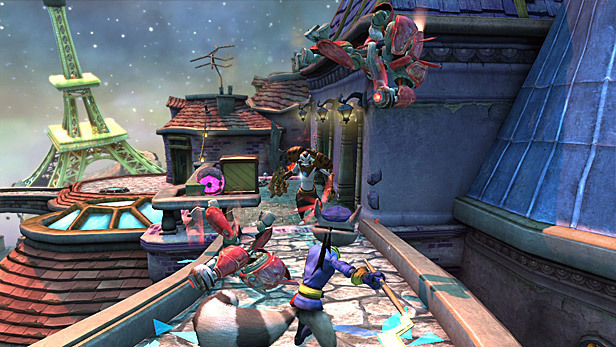 Graphically, PlayStation Move Heroes is a visually impressive game on the PS3, thanks to its next-gen graphics that looks like an interactive cartoon. All the characters have been faithfully recreated and there's some great cinemas to progress to the story as well. 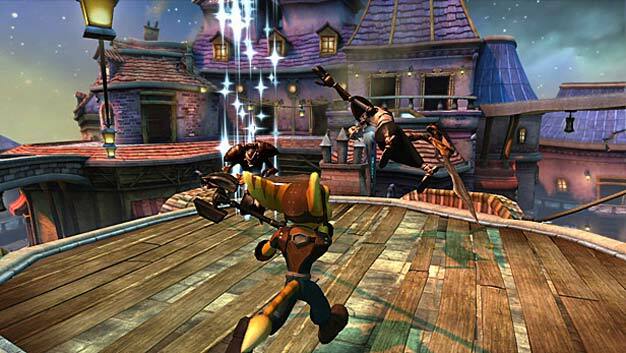 Add in a variety of special effects, some great lighting and the developers have truly paid homage to the original games which can be seen here. Add in the original voice actors of these characters and a decent arcade style of soundtrack and Playstation Move Heroes looks and sounds rather good. In the end, this game has been designed for a younger market and is actually not that bad. It does lack some replay value and some of the mini-games are a little dull but for the most part, it's actually an interesting concept, especially with the inclusion of three gaming universes and their six characters. Compared to some of the other Move games available now, I would have to say that this is definitely the better of them for kids. Just be warned that the game does work better with both Move controllers.